... but I have a few issues with it. I don't think the centre square should have been white, and I made all the blocks the same and then turned some of them, I think I should have made them 'turned' if that makes sense. 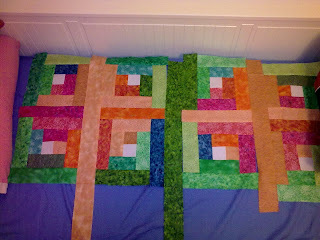 I have always loved log cabin quilts, but have yet to make one that I really like. Maybe (as a very last resort), I may have to follow instructions on making one - shock, horror! 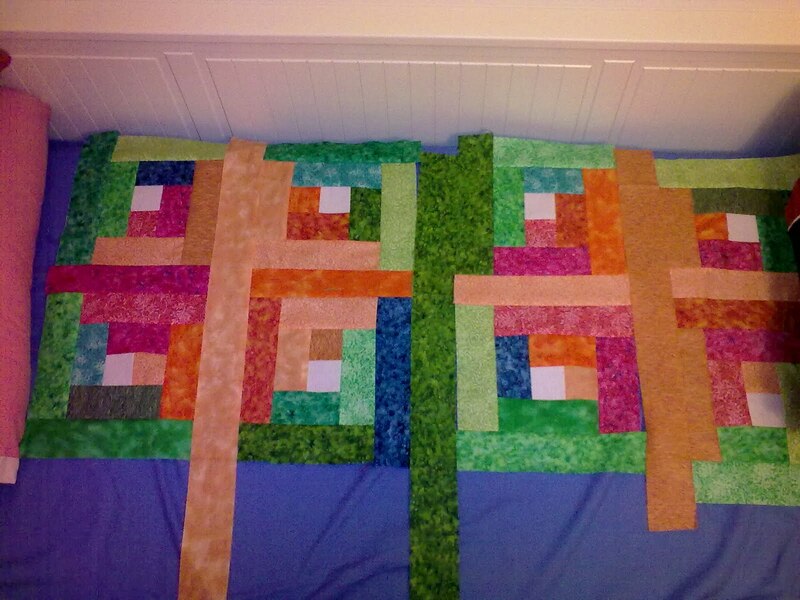 Anyway, this one has got as far as it's going to get for now, as I've run out of orange fabrics. (and after Tuesday's shopping spree I probably ought NOT go back to any shops just yet! I love the green that looks like grass! I think the colors are lovely.